Don’t worry, I’m not going to go on a feminist rant right now about women’s rights. 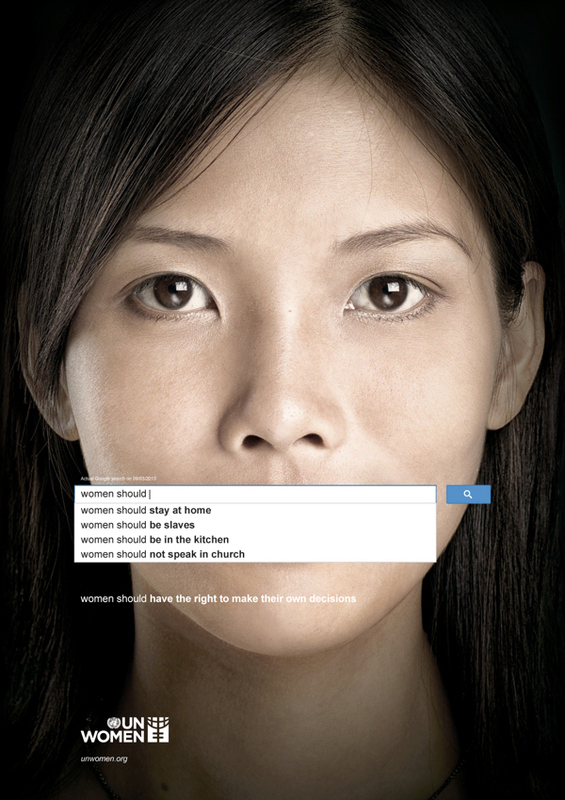 I simply want to share a powerful ad campaign created by UN Women–an arm of the UN that focuses on women’s issues. 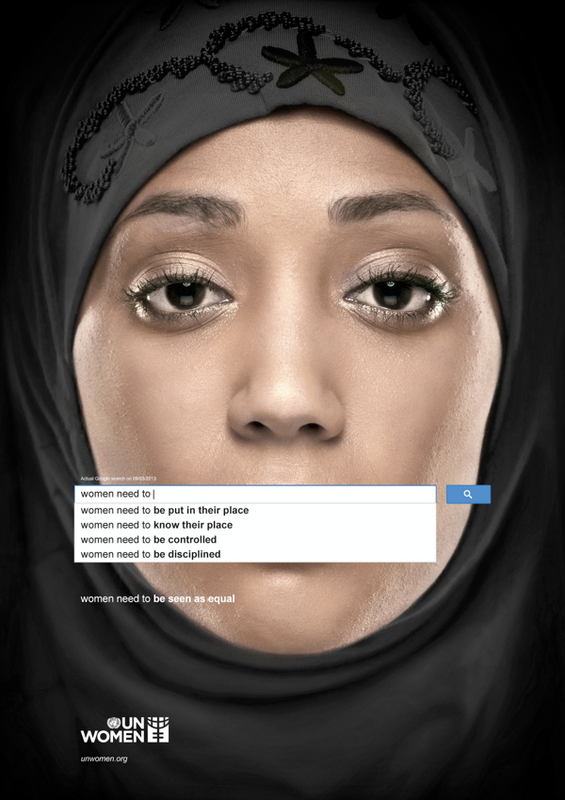 The goal of this campaign was to emphasize the extent of global gender inequality. Creaters collected data from a place most of us go on a daily basis: Google. Using Google’s most popular search terms, they compiled a list of popular phrases used to describe women. The results were shocking. Seeing this sparked my curiosity, so I searched the same words in Google’s search and though I didn’t get all of the same results as what’s pictured in these ads, my results were just as surprising. Maybe you should try it and see how powerful this message really is. Last week, I shared some tips with you about how to create the perfect design portfolio… this week I want to continue in our portfolio discussion, except for I’d like to focus on those daunting online portfolios! Here are some tips for creating a first class online portfolio that will impress future employers. Whether you’re a “web savvy” or not, there are plenty of options out there for you to choose from when it comes to your online portfolio. You’ll nned to get a domain name, hosting and set up a site… if that all sounds too overwhelming, there are plenty of sites out there that will do it for you! Here are a few hosting sites that can help you out! Just like with your physical portfolio, you don’t need to show everything you’ve ever designed. Be selective and only show off your best work. Don’t just post your work in any old order… make sure you think about how your pieces flow and how they’re working in the order the viewer will see them in. Just as in your physical portfolio, your online portfolio tells a story, make sure your story flows smoothly and has a nice rhythm. I know it’s easy to forget about your online portfolio out there in cyber space, but don’t let it become low on your priority list. Keep it updated… you won’t impress anyone with a portfolio that hasn’t been updated in years! 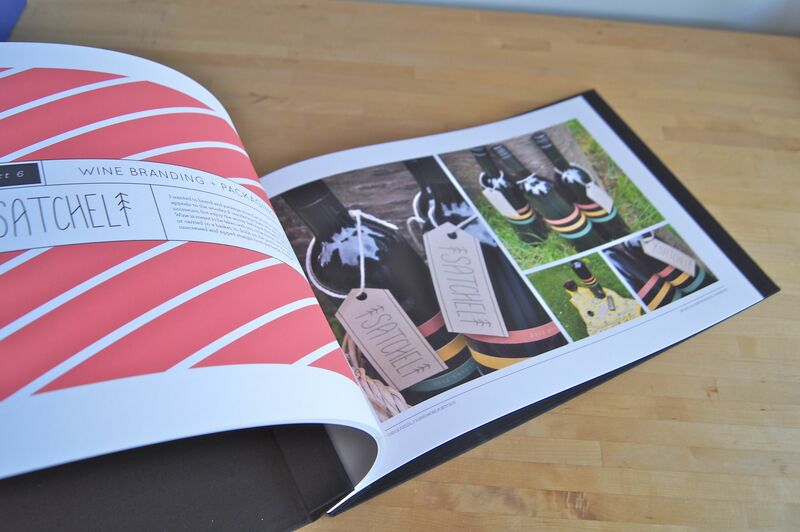 Displaying printed work online is always a challenge. You can post a digital version of your printed work, but taking a photograph in its actual printed form will do your work more justice. With short attentions spans now days, you need an online portfolio that’s going to get people’s attention quick and that’s easy to navigate through. Keep your design and layout simple. Make the design of your site unique, something that will make your site stand out. Have easy to find contact info – you want to make sure the people viewing your site know how to email you, follow you on Twitter, etc. Consider including a “Hire Me” button… you don’t want there to be any question that you want people to hire you. With tips for creating both a fantastic physical and online portfolio, you now have no excuse not to get that job you’ve always wanted. Good luck! If you are not producing a newsletter for your business, you should be. A company newsletter can offer a variety of content including how-to information, new product and service announcements, special promotions and sales as well as general company info. 1) Subject Line – use enticing words such as tips or steps instead of here’s our October newsletter. Snore. Please refrain from using all caps or exclamation points, users might think your message is spam and delete it. 2) Keep it Short – everyone is short on time so long emails just don’t get read. Get to the point quickly and deliver as much value as possible in short summaries….one to two paragraphs at the maximum. 4) Give Value – provide info that the reader can use instead of self-promoting babble. 5) Call to Action – make sure you give the reader direction on what you want them to do such as act now or click here to order. 6) Timing – according to research, the middle of the week is the best time to send a newsletter especially between the hours of 8am and 10am or 4pm-6pm. If you can send your newsletter on a regular basis, you will increase top-of-mind awareness for your customers~ especially when it’s time to make a purchase. Whether you’re setting out for your first design job or trying to land your ultimate dream job, having the best portfolio is key. Believe me when I say, nobody’s going to care if your interview skills are great if your portfolio looks like poo! Here are a few tips to get the ball rolling on your perfect design portfolio. For a physical portfolio, aim to include at least 20 pages of work. Make sure that these pages are filled with different types of projects. Yes, you may be great at logos, but that’s not all you can do. Be sure to include brochures, outdoor design, or whatever else you do so that your future employer knows you’re not just one-fold. Make sure to include samples of work that are appropriate to the job you’re applying to. If you have illustration skills, that’s great but these type of samples probably won’t land you the job as graphic designer. An ad or brochure can look great standing alone, but it won’t mean much to anyone else unless they know why you created it and how your design accomplished the client’s goals. Be sure to include context with your work samples, even if it is just in a verbal exmplination. Your portfolio doens’t have to include only work that you completed for a particular client. Self-initiated projects are acceptable for showing your talents (that is, as long as they’re appropriate to the job you’re applying for). You don’t want to be turned down by a potential employer because your portfolio was outdated. Make sure you keep your creative samples up to date… you never know when you might get the opportunity to show those puppies off! I know it may be hard to be objective because your portfolio is filled with your own work, but take a step back and figure out what your portfolio says about you. Future employers will learn a lot about you based on your portfolio alone, so make sure it’s sending the right message. Hopefully these tips will help you improve your portfolio so that you can land that job you’ve been dreaming about. 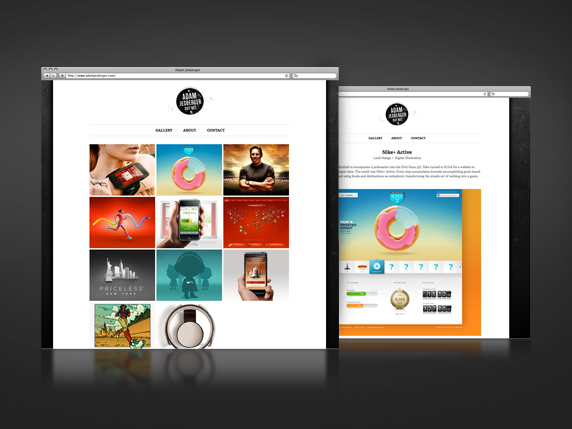 For tips for creating the best online portfolio, come back next week! I am currently moving into my new house and am finding myself constantly doing things I’ve never done before… ya know like putter together furniture? (Yeah, graphic designer here… NOT carpenter!) Anyways, no matter how much you deny it, I know you’ve been in the same situation as me where you’re looking at the instructions and the pieces you see in front of you just aren’t working the same way. Ooooor you have your finished product and ooops, there are a couple extra screws you never used! 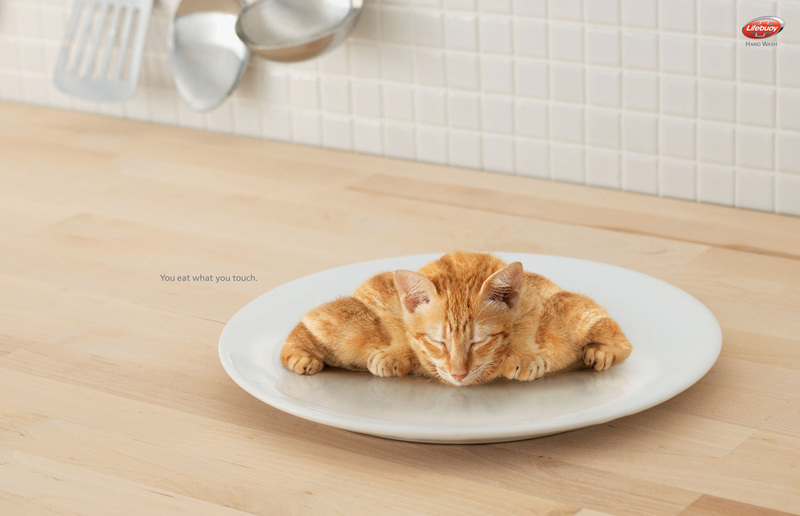 Well, IKEA knows people like us are out there… and unfortunately, they have targeted us! 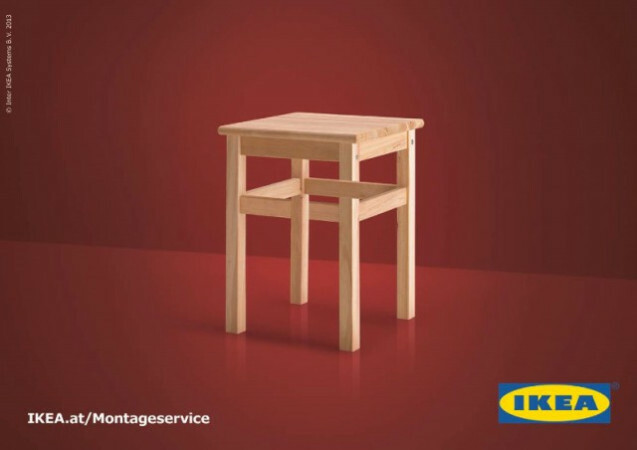 In an ad campaign they put out earlier this year, IKEA promoted their assembly service team. 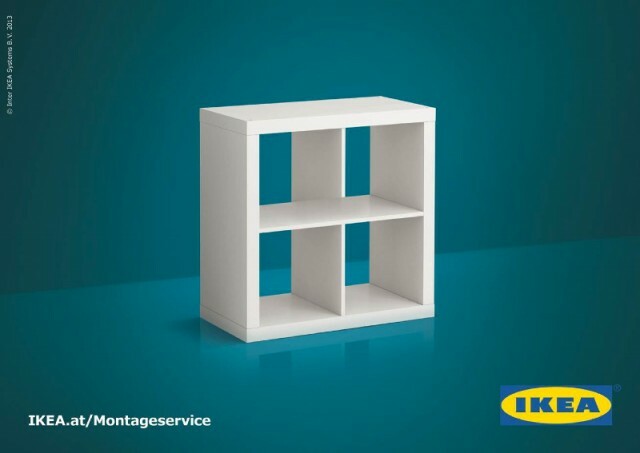 With intrigueing optical illusions created with their own furniture, they created thought provoking ads that are simple yet effective. 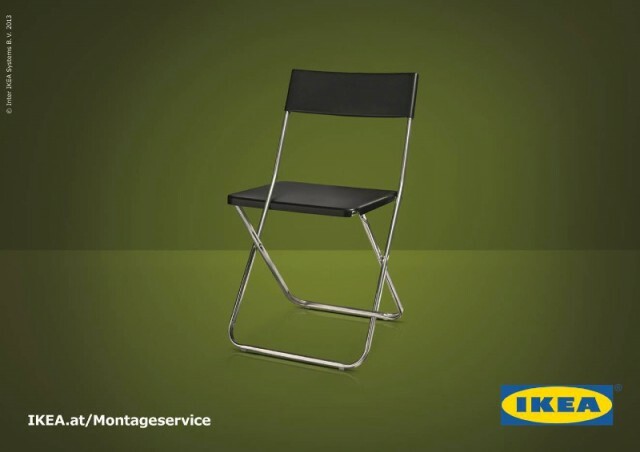 No tagline needed… just the web address for their assembly service team. You gotta love the name of the campaign too… Skit Happens. 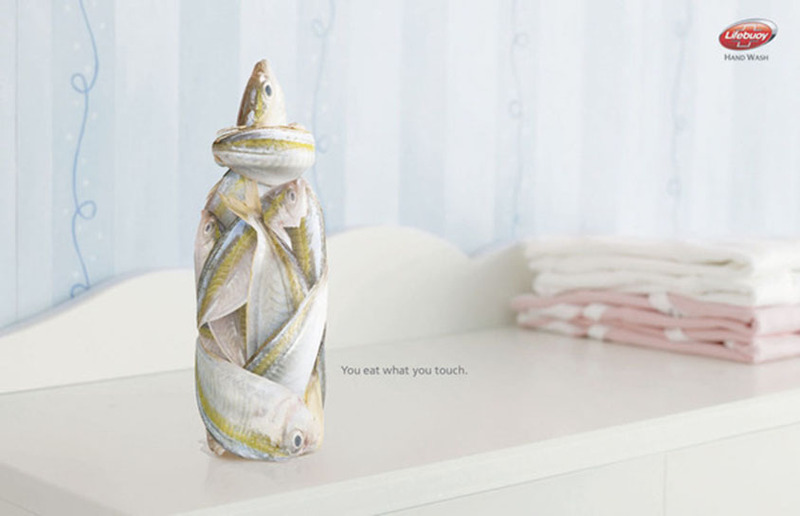 Lifebuoy, the world’s leading health soap brand, created a series of print ads that stress the importance of washing your hands. 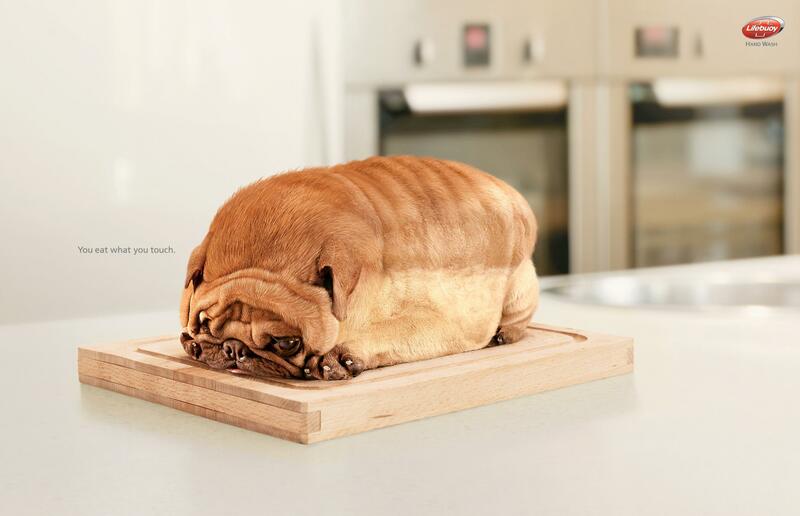 The photography and well, Photoshop work in these ads is eye catching and impactful. 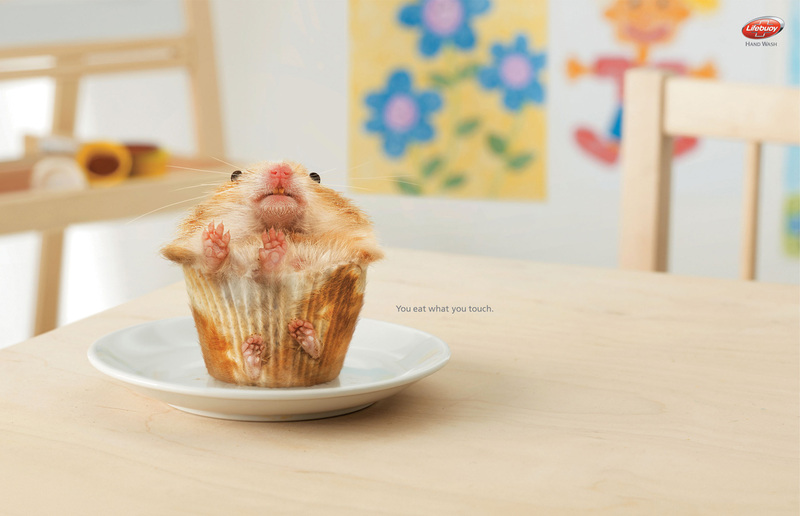 In addition, the one line of type in the ad, “You eat what you touch.” only drives home the message that much more. No, I’m not trying to lecture you on the importance of good hygiene habits… just educate you on the importance of great advertising!